There’s some hype going around about George Lucas planning to release 3D versions of the six Star Wars films in 3D. UK’s Telegraph reports that Lucas has already put a $10 million price tag on the conversion, and the article further cites a company in San Diego who says they can convert an older film into 3D in about 16 weeks. But do fans want to see yet another release of the original Star Wars trilogy? (Remember the trilogy was re-released to theaters in ’97?) And, would the last three films draw the same crowds they did for their premieres if they were re-released in 3D? Not an issue. The Star Wars fan-base could prosper even if some fans boycotted any future re-releases. Marketability, (and profitability) aren’t the problem here. Exploitation is. The original Star Wars film from 1977 remains one of the finest cinematic works in history. There was nothing really hokey about “A New Hope,” or “Empire Strikes Back” for that matter. The ewoks hadn’t been introduced yet and Jar-Jar Binks was still light years away. Well, actually light years earlier. And, the first three films were far from the sappy love scenes we find in Episode II, notably Annakin and Padme’s romantic interlude in an over-saturated Nabooian field that looks less like sci-fi and more like Strawberry Shortcake. Don’t touch those first three films! 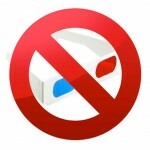 Do we really want to see Star Wars in 3D? Yoda hopping around with his mini lightsaber was goofy enough. Jar-Jar in three dimensions would just be over-the-top. Although I have to say I would get a kick out of seeing Count Dooku flying around on his broom stick in 3D. So what about Lord of the Rings? The Telegraph article (citing no references) indicates Peter Jackson is considering the same, and that the trilogy “is lined up” for the 3D retro-fitting. Please no. The Lord of the Rings trilogy holds up just as well as Star Wars, and only dips into hokiness in the third film as Samwise preaches about good and evil in the midst of Mount Doom. But just about every movie has its flaws. Enough with the gimmicks already. Let’s just concentrate on making good films. Cited: Here’s the Telegraph report, and the Access Hollywood article. come on. whats next? godfather in 3D? If you don’t like it then don’t watch it. If people don’t watch it then they wont make more of them, if people watch it then they enjoy it. I am looking forward to it, I never got to see the original Star Wars trilogy at the cinemas I was not born yet it is something I am very much looking forward to doing and something i never thought i could do. If you don’t like it fine just don’t spoil it for others.